The aroniaberry bush (Aronia melanocarpa) is a rapid grower, reaching six feet or more in height and width. A nursery-sized bush can turn into an impressive, large shrub in just a couple of years. Native to North America, the aroniaberry bush is extremely forgiving of growing conditions. It will tolerate swampiness or dryness, and can be grown in acidic to mildly alkaline growing media. The aroniaberry bush can thrive in full sun or half shade, and is rarely troubled by insects or diseases. It is cold-hardy across the United States and most of Canada, and can be planted or transplanted in any season with equal success. It is a late-blooming plant, producing white blossoms after the threat of frost has passed in May. The aronia’s pea-sized berries take three to five growing seasons to harvest. The berries ripen in the autumn and are picked within a week or two of maturing. For commercial growers, the berries are usually mechanically harvested, using equipment similar to that used in harvesting blueberries. Interested in becoming an Aroniaberry Grower? 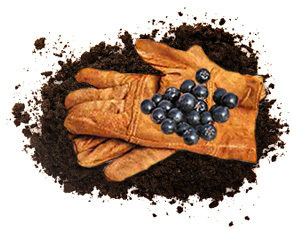 If you are considering growing aroniaberries, the Midwest Aronia Association (MAA) is an excellent resource for all aspects of growing aronia including cultivar selection, planting techniques, growth maintenance, picking and more. Contact the Association directly by emailing the MAA President, Kevin Bailey at kevin@aroniafarms.com with your questions. If you are currently growing aroniaberries and are interested in selling your crop, Superberries maybe interested. Give us a call at (877) 819-6881 or email us at contactus@superberries.com. We are interested in the following varieties: Superberries, Viking, McKenzie and Nero.